Ship structures are mostly used in harsh seawater and marine environments. 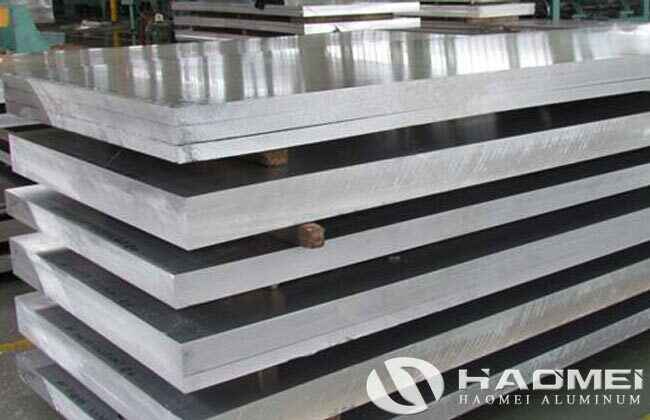 Therefore, whether aluminium plate alloys are resistant to corrosion is one of the main signs that determine whether they can be used as marine grade aluminum plate alloys. It is generally required that marine grade aluminum alloy substrates and welded joints have no stress corrosion, spalling corrosion and intergranular corrosion tendencies in seawater and marine environments. The contact corrosion, crevice corrosion and sea-biofouling corrosion should be avoided as much as possible. The minor uniform corrosion and spotting corrosion are allowed. Experience has shown that any boat made from aluminium plate can be used for decades without any significant corrosion. The decommissioning of such ships is usually due to outdated technology rather than the aging of aluminum structures. Overall, the excellent marine weathering resistance of the 5000 series and 6000 series aluminum-magnesium alloys, especially seawater corrosion resistance has now been recognized. Among them, the 5083 aluminum plate is a typical aluminum alloy for welding. It has the highest strength among non-heat-treated alloys, and has good weldability, corrosion resistance and low-temperature performance. It can be used as a shipboard aluminum plate on the ships. At present, Haomei 5083 aluminum plate has entered the world shipbuilding market and has obtained the international authoritative certification of “ Ship Classification Society Certification”. Due to its low density and high strength, the ship manufactured with it can reduce the weight for more than 20%.